Get Involved! 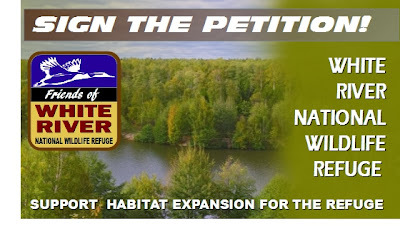 Make your voice heard... Support the refuges' proposed expansion by signing this ONLINE PETITION. Your letter will be sent to Dan Ashe, Director of the USFWS as well as to your Arkansas elected officials. Do your part today. Sign it NOW. “An inch of movement will move us closer to our goals than a mile of intention”.